Spring happens suddenly on the prairies. While much of Canada has had their melt and moved on to the blooms and blossoms, we’re still waiting on the prairies. Late April snows are not uncommon, and we’ve had our share this year. So I haven’t gotten after my outdoor lawn chores the way some of you may have, but it looks like we’ve turned a corner. And I’m getting dirty. Once you scroll through these tips to get your spring garden plans rolling, check out the CONTEST at the end of the page to get the things you need to get your garden on this year. 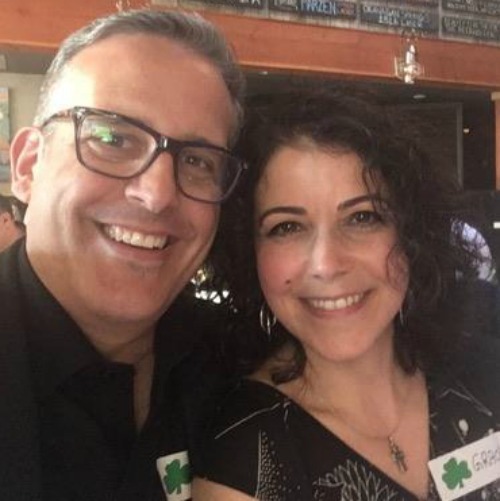 And don’t forget to keep tabs on our Scotts Gro Crew across social media and share your tips, tricks, and #IGrewIt successes this year. When it comes to growing seedlings indoors to plant outside, you should back time 8 weeks from your last frost of the year to plant inside. With an average final frost of the end of May in Alberta, that means planting trays at the end of March. Really though, every day you have indoors is a day you’re not waiting outdoors, so if your garden soil still isn’t warm enough to plant outside, you can get your trays growing indoors. If you want to build your own trays instead of going with the peat kit that we used, pick up Miracle-Gro Seed Starting mix. 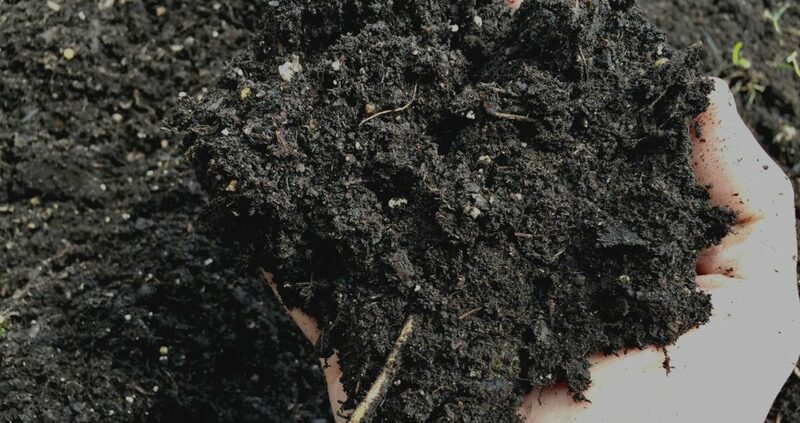 It is a lightweight soil medium enriched with peat, perlite, and plant food to help your seedlings sprout. We’ve also been working with a couple of AeroGardens this year. They are tiny toaster sized water gardens that time their own light and just need regular feedings. 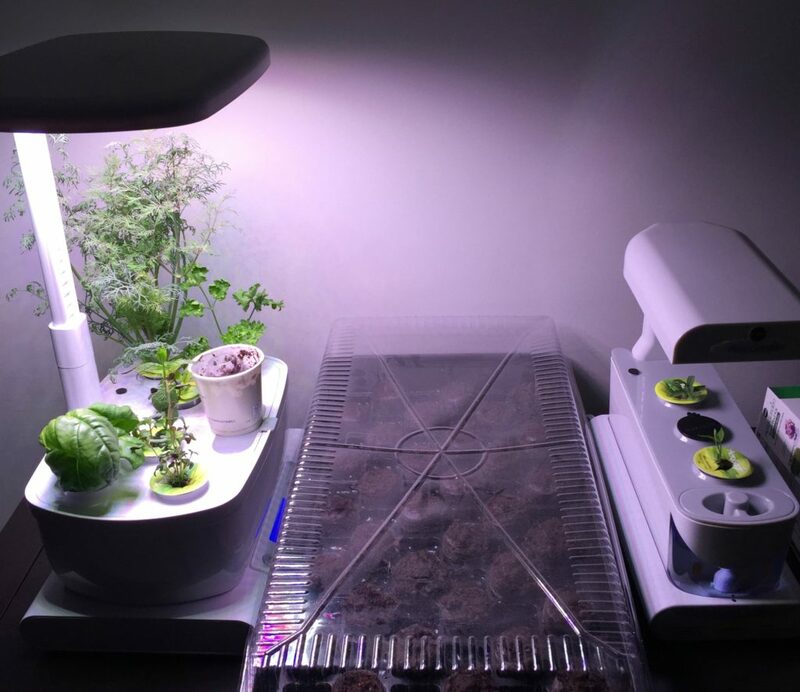 We’ve been growing herbs and tomatoes in our AeroGarden since late March. 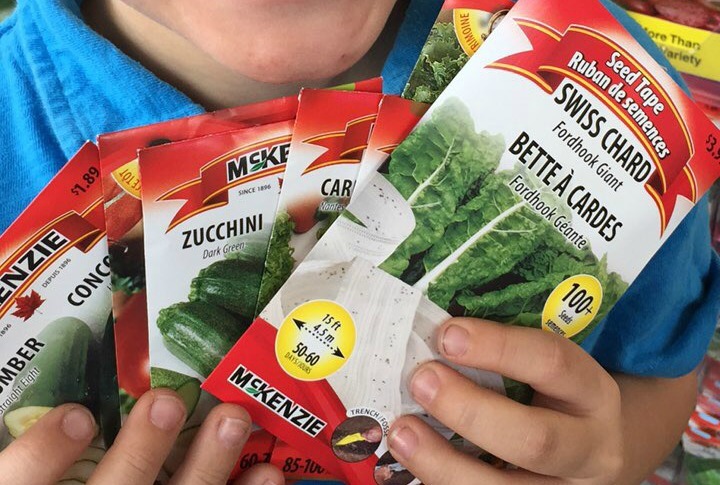 If you’re planning to skip the seed trays and want to go straight to the garden for your growing, now is a good time to spend a weekend wandering the aisles of the garden store planning your season and stocking up on supplies. 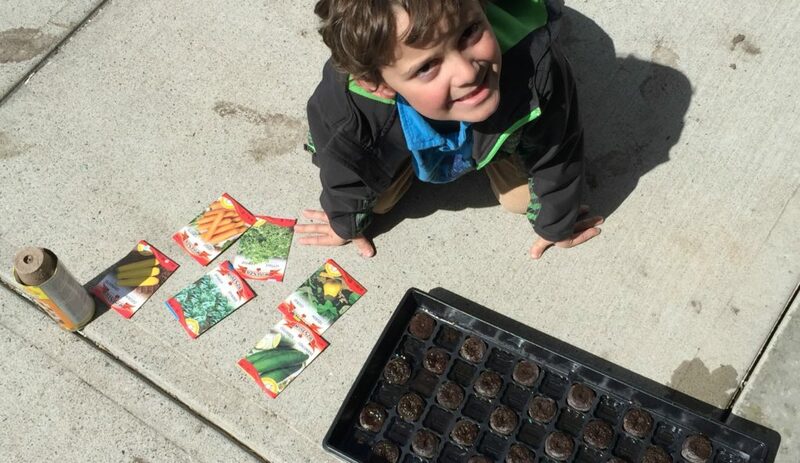 Check out these 8 Tips For Starting Your First Backyard Garden. I also like to wander the neighborhood and peer over fences to see what others in the area have going to help with my planning. Grab some bags of Scotts Miracle-Gro Moisture Control Potting Mix to get the planter boxes changed over and ready and some Nature’s Care Potting Soil – Miracle-Gro’s new organic line of soils and fertilizers – for transplanting your tweenage seedlings into bigger pots. Get out in that garden and start turning things over. 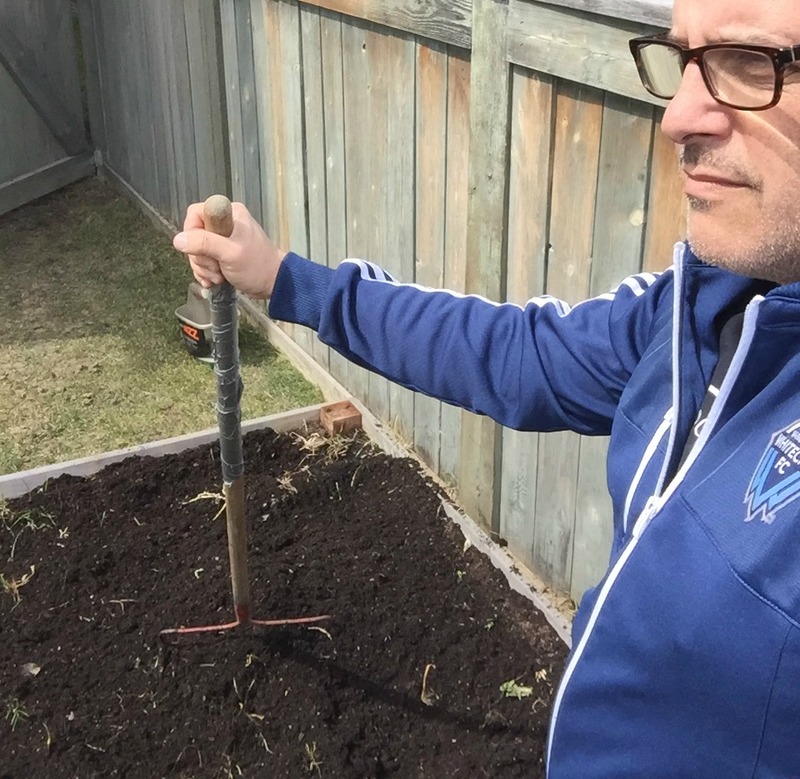 Pull out anything that was left from last year’s crop (I had corn husks that got snowed under) and clean up your raised garden bed so as soon as you feel that sweet spring heat, you are locked and loaded to plant. 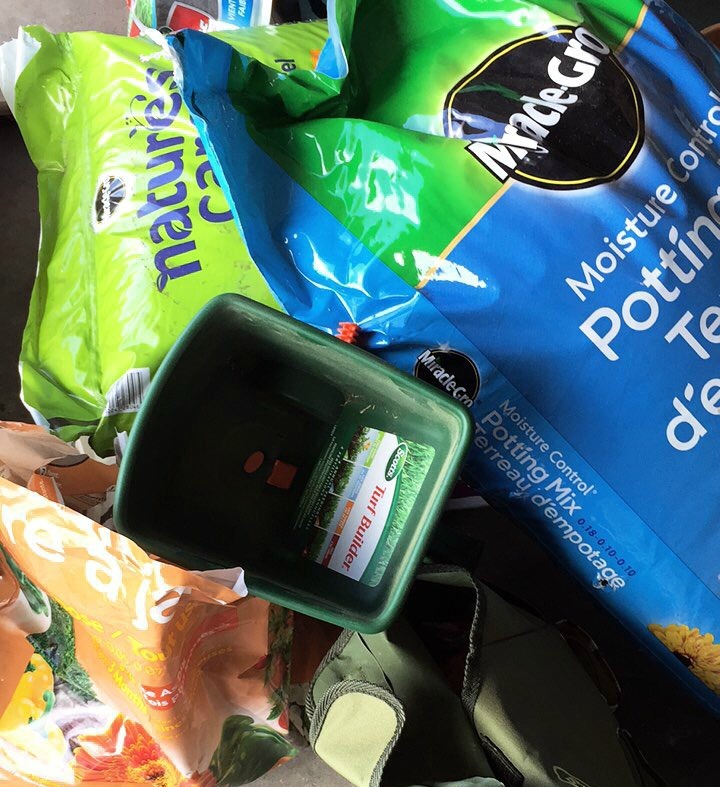 When it comes time to start filling my garden with all the green goodness, I’ll top up the bed with some extra Miracle-Gro Premium Garden Soil from Scotts. 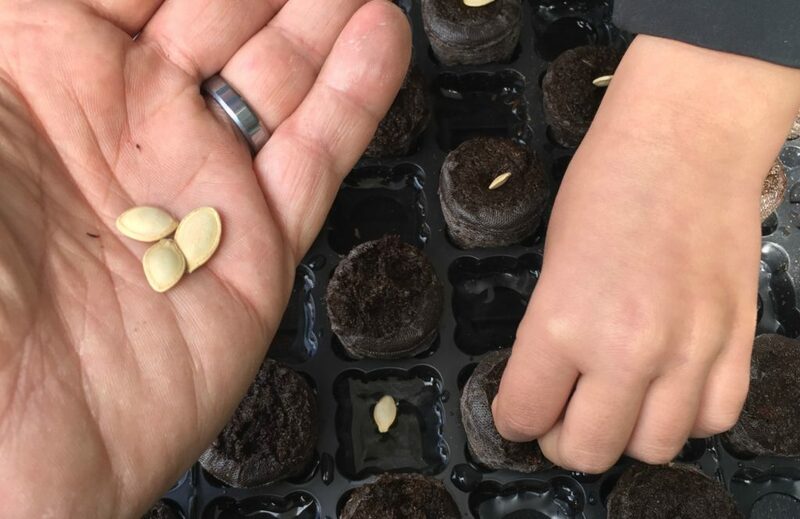 If you were an eager beaver at the end of march and got your seed trays going, now is the time to start transplanting those seedlings into bigger pots. Use Nature’s Care Potting Soil – Miracle-Gro’s new organic line of soils and fertilizers to keep those tweenage plants growing strong. 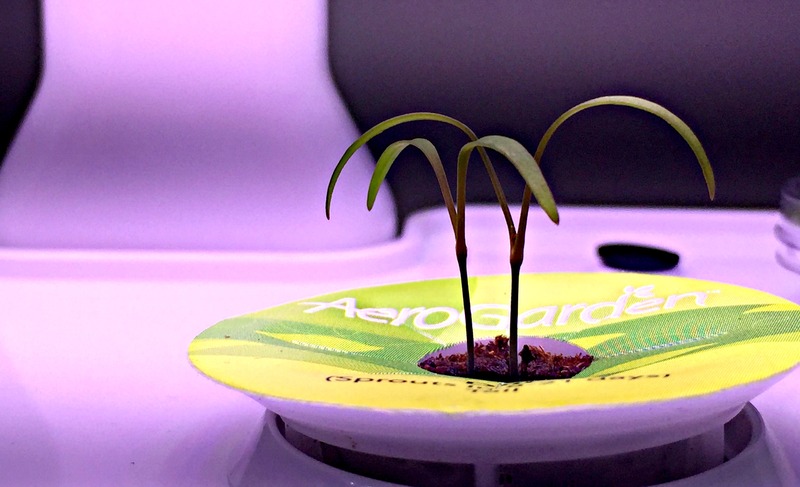 You can even transplant your AeroGarden successes. You should wait until the last frost of the season to start hardening your plants for transplanting outside. 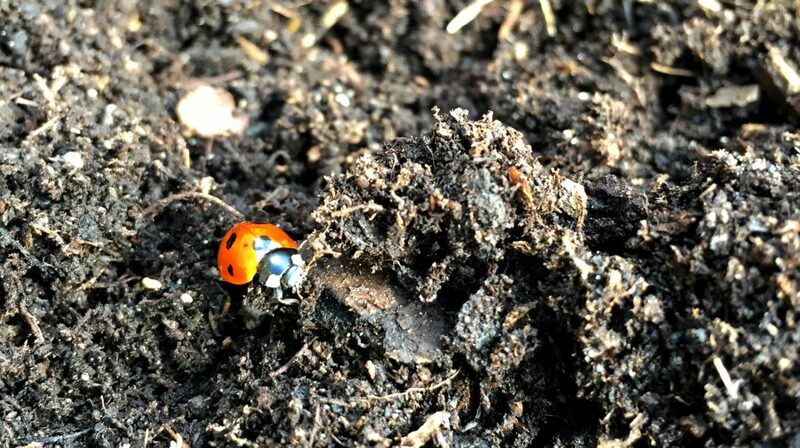 Over the course of a week, leave them in the warm sun starting an hour a day, lengthening the time outside the next day. By the end of that week they should be able to withstand a move to outdoor gardens, flower beds, and planters. If your lawn has been covered in snow and frost for the past 6 months, now is a good time to give it some breathing room by getting rid of all the dead thatching. If you’re a king, you can do this yourself. If you’re not (raises hand) you can get a lawn crew to come and get it done for you. Numerous crews have been knocking on doors in our neighborhood this weekend, and I grabbed one to do a power rake, aerate, and first cut of our lawn. This cleaned up everything and set the stage for me to get in and do some rescuing. 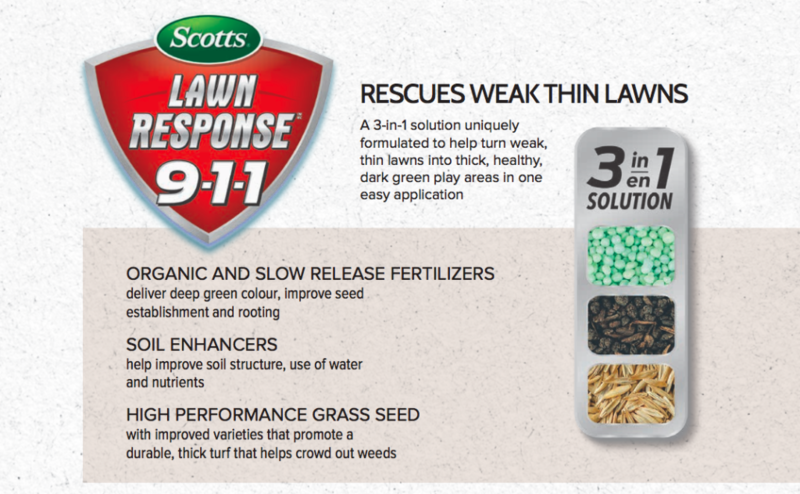 Scotts Lawn Response 911 is a very very easy early spring application that can set your lawn up for great success through the summer. It’s a 3 in 1 solution that combines slow release fertilizers, soil enhancers, and high performance grass seed to fill in your turf, crowd out weeds, and improve the colour of your lawn. I grabbed a bag and gave it an easy spread in minutes using my Scotts Wizz Spreader. If you’ve got a hand crank spreader, or a push spreader, you can use those. It took me all of 10 minutes to get my yard ready, and then I turned on the sprinkler to give it a good soak. Now, every 8 weeks or so I’ll apply Scotts Turf Builder Green Max Lawn Food product, and my lawn is good to go. 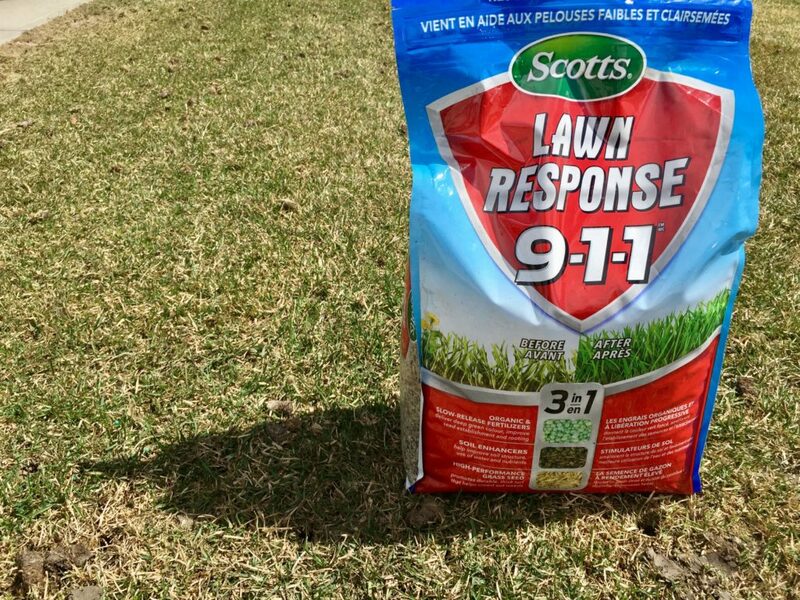 I’ll be sure to update through the season how the Lawn Response 911 works for me. While you’re giving that lawn the first soak of the season, make sure you drop a hose by the roots of the bigger trees in your yard. Pushing out those buds and blossoms is hard work, so get a few feet from the trunk, just drop the hose down and run it until the water no longer is soaked up by the roots. We have a few apple, pear, and lilacs in our yard that need a top up. My garage finally has some breathing room now that the wicker chairs and chaises are our and on the back deck. 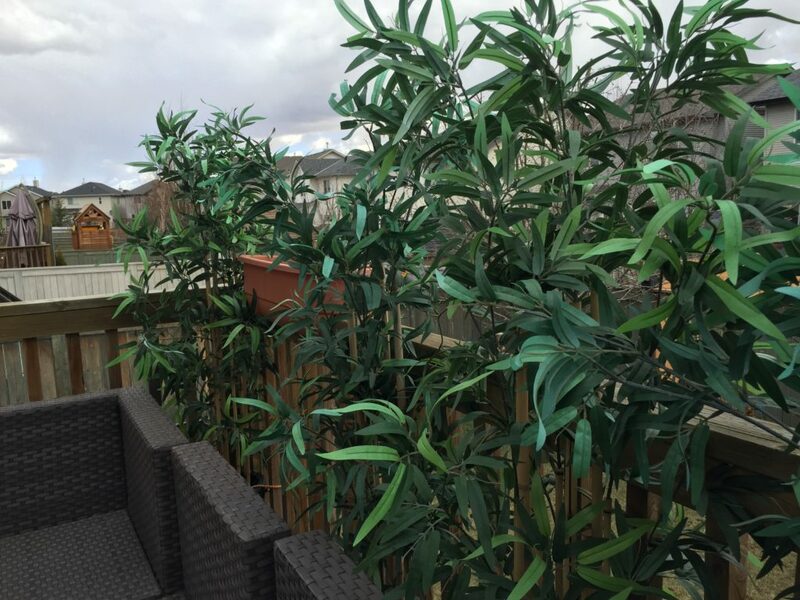 To add some extra green pow to our patio, we have a series of plastic bamboo trees and baskets that we keep in the garage and bring out once the seasons change. They are so awesome to have as an instant hit of green while we wait for the lawn and flower boxes to fill in! Now that I’ve got the wheels spinning for those lawn and garden projects, here’s a chance to win what you need to get started! Contest winner will be notified by email on May 18, 2017. The prize will be shipped to the winner. This post is sponsored by Scotts. We really need some help with our garden this year, our grass is looking very sad but on the plus side our beans are germinating! Got lots of area shaded by big trees, it is a beggar of a time to get grass to grow there! I’ll take all the help I can get to get my garden growing this year. It’s the first year we’ve had any green space of our own to work with and i’m super excited!! I’ll be starting a little late, but there will still be lots of good stuff to be grown! We moved into our new home this past December so our lawn is a blank canvas. We did bring some flowers and shrubs from our other home to get us started but we are busy deciding what we want to do outside. It is actually going to be a lot of fun as we lived at our other home for 20 years and the landscaping was primarily maintenance. Here, we get to start over! Thanks for the awesome giveaway opportunity! We just redid a lot of our lawn last year, but it all needs grass seed this year. It’s now one big brown wasteland. Even though winter if far off the12 in. 8-Amp Electric Snow Blower Shovel would be so amazing to have ! 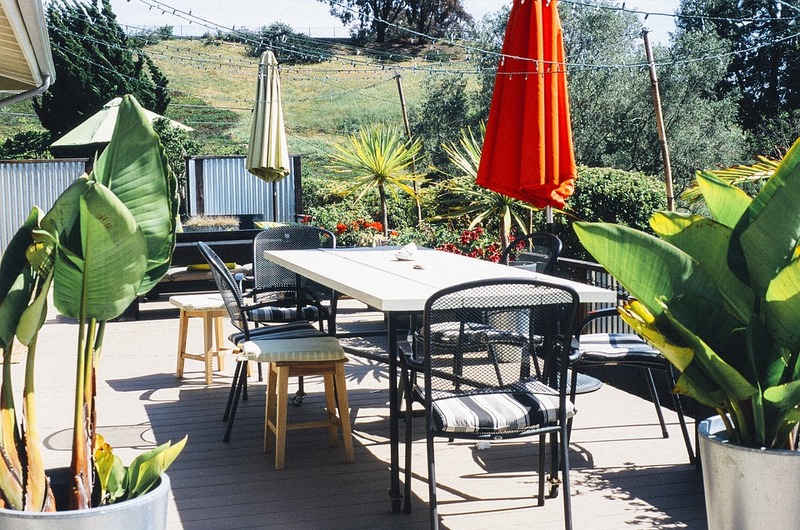 We need to completely redo our backyard this spring, so no bragging here! I need a lot of help with my grass this year . Have pee spots every where from the puppies. I need help as I am new the the whole gardening thing and have no idea where to start!